Everyone knows what a tree is and what it looks like. Trees can be found in every portion of the United States and provide beauty, shade and a place for animals and birds to live. While trees of all varieties have some things in common such as a trunk and branches, there are many different varieties of trees found in the U. S. Each of the species have unique characteristics and traits from other trees. Trees are basically classified into two different categories: coniferous and deciduous trees. Coniferous trees are essentially cone-bearing trees. Trees that fall into this category include pine trees, redwood trees, spruce trees, cedar trees, Douglas fir trees and many other types of trees. The other type of tree is deciduous trees which are typically leaf-bearing trees, which fall off on a seasonal basis. Among the trees that are in the deciduous category include maple trees, birch trees, oak trees, elm trees and several others. 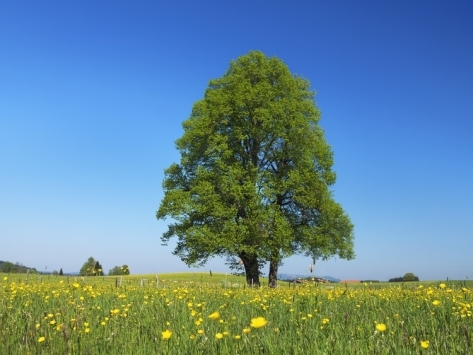 There are several factors that are in place to determine what trees grow in what locations. Factors such as climate, amount of sunlight and many others are important to know where the trees are growing. Various areas of the United States have different types of trees. For example, redwood trees are found in the western part of the U.S. While oak trees can be found in the east. To provide you with more information about the trees of the United States, please feel free to review the following resources. What are Coniferous Trees? – Informative page which provides detailed information on the conifers. Coniferous Trees – Information on the various types of conifers that can be found in Southern California. Conifer Tree Key – Useful resource which can be used to help identify types of conifers. Tree Identification Guide – Web page which contains information that can be used to help identify trees. Conifer Trees – Information on the scientific name and common name of various coniferous trees. Conifer Images – Pictorial page which provides a look at different types of conifers. Deciduous Tree Types – Information and dimensions of the typical types of leaf-bearing trees. Deciduous Trees – Useful page which has both the botanical and common names of trees. Deciduous Types – Helpful web page with information and pictures of different types of deciduous trees. Deciduous Tree Information – Educational page which provides landscape information on deciduous trees. Tree Names – Web page which lists the common and latin names of common trees. List of Trees and Shrubs – Listing of the names that are common trees and shrubs. Eastern U.S. Tree Species – Informative page which contains information on most of the common trees found in the eastern United States. Important Forest Trees – Useful booklet containing information on important forest trees of the eastern U.S.
Northeastern Trees and Plants – Information on many of the common trees and plants of northeastern U.S.
Great Eastern Trees – Narrative on some of the most notable trees of the past and present. Eastern and Central Trees – Web page which contains information on typical trees native to eastern and central United States. Eastern Forest Guide – Information on common trees that are found in a northeastern deciduous forest. Western U.S. Trees – Listing of trees that can be found in the United States west. West Coast Trees – Guide to identification of trees found on the west coast of the United States. Northwestern U.S. Trees – Informative page with information on the trees native to the northwestern. North American Trees – Helpful web page listing trees that are found in western North America. Familiar Trees of North America – Free e-book with information on trees of the western region. Tree Species – Web page providing information on the various tree species in the western United States. Tree Resources – Helpful page with a number of useful resources about trees. Local Tree Services – Find local tree removal and trimming services. Online Resources – Informative web page with information on a number of topics. Trees are Good – Kid friendly page with a number of fun links and activities for kids. Tree and Leaf Activities – Resourceful page with activities to learn more about trees and leafs. Facts About Trees – Information and facts of interest about trees. Tree Information – Web page which lists information about trees. We hope that you found this information and resources to be helpful. Please feel free to visit this page often to learn more about the native trees that can be found in various parts of the United States. Also, feel free to share this information with others looking to learn more about our trees.